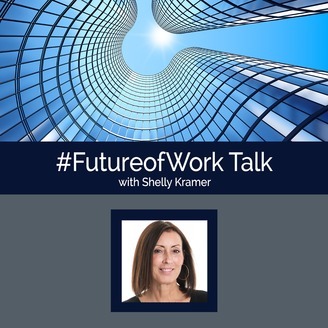 The Future of Work is a weekly show hosted by Broadsuite Media Group's Shelly Kramer, focusing on how people work today, the myriad ways the workplace is evolving, what is coming in the future, and how people, technology, and data are driving that. Whether it's deep dives into digital transformation, the evolution of corporate culture, technology and innovation, or generational insights, the #FutureofWork is where you'll get the information you need for business success. Today’s HR pros are seeing a shift in their roles within organizations, from administrative managers and leaders to playing an integral role in business strategy and success. How to successfully navigate that transition and deliver value to the organization can be a challenge, and one that many are looking for help and guidance on. That’s where my guest on today’s Future of Work Talk comes in. Ed Muzio is the author of Iterate: Run a Fast, Flexible, Focused Management Teamand his expertise on this front is well-documented. Ed is the CEO of Group Harmonics, a company focused on helping companies create culture change, boost performance, and provide practical solutions to work place problems. His clients include not only HR pros, but business leaders as well, and his message across the board is all about iteration, adaptability, agility, and continuous learning. Successful managers are the ones who can learn to move away from silos, wasted time and effort, unnecessary competition within teams, and who can embrace intelligent goal setting and attainment as well as effective management of resources. That’s what Ed’s latest book is all about, teaching managers and business leaders how to iterate, and build and grow strong, successful teams. The premises there are really no different for HR pros than they are for other business leaders and managers within an organization. 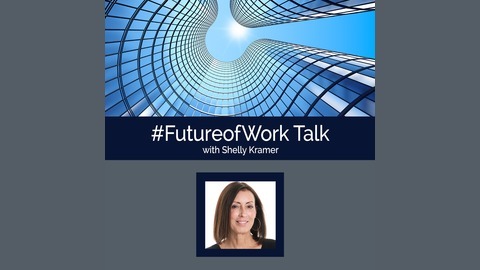 In our conversation today we tackle challenges HR pros and other leaders face, and how to embrace an iterative mindset and management/leadership style. Whether you’re in HR or a senior executive, Ed’s advice is timely, relevant, and sure to add value to your strategies moving forward.